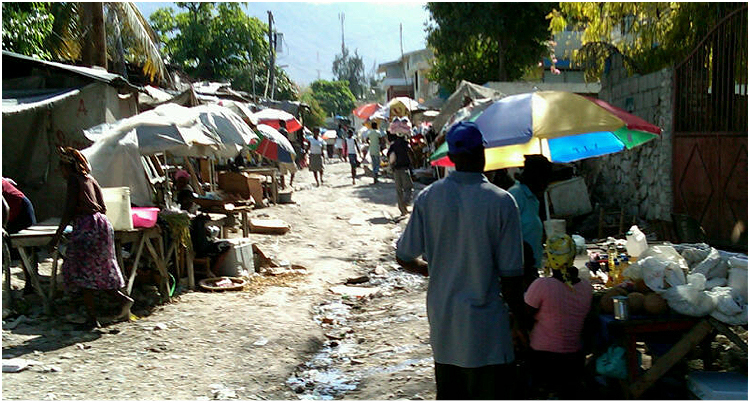 While in Florida in February 2011, I flew to Haiti for five days. I went with Partners Worldwide to consult with Haitian businesses to help them grow. With 80% unemployment, additional jobs are critical. I hoped some of my experiences would be of help to these struggling entrepreneurs. Daniel, a Haitian with a BS and MBA from the US, was the national running the program. He also has some business experience. It was good to see someone of his caliber and experience, go back to his country to help. I provided advice to him and some local businesses. Also, he presented a need for a conference and a small loan to a business which we provided funds for. One of my purposes for going to Haiti was also to check on the return on investment for Americans providing labor in Haiti. Local labor costs $3 to $10 per day, even for skilled labor. I met various American groups there to provide their labor. The cost for them to come and stay was usually $1000 for two weeks–yielding maybe 10 total days of work. The $1000 spent provided on average only $30 to $100 of labor benefits in terms of the local labor rates. It also took away local employment where 80% are unemployed. Ver Beek cites one group that spent $30,000 in travel to build one $2,000 house. Steve Saint, in The Great Omission states “When in the name of Christian missions, we do for indigenous believers what they can do for themselves, we undermine the very church that God has sent us to plant”. In many developing countries, one could find the same general wage scale and high unemployment. To call this an effective mission trip, even with some encouragement and evangelism thrown in, is very questionable. Alternatively, one could provide the money for 6 to 12 months of employment for a local Christian, who could work and do evangelism far in excess of what an American can do in two weeks. While in Haiti, I came across reports that some local medical people had left the country because they could not compete with “free”. Now there was an immediate and maybe longer term need for medical help for some very poor people. However, the people who could afford some help were using the free help. Therefore, the Haitian medical personnel could not compete with free. I met one woman with an organization that was helping local medical people better perform their work. The best help to provide is what will endure after you return home. When medical people come, take care of half the waiting patients, and then go home, you can imagine the pain. They did some good, but only while they were there. In many cases, the level of medical help available in the US is not always the best solution. It may be better to teach locals basic medical care for a large number than specialized care for a few. Steve Saint in The Great Omission discusses a rudimentary manual drill to repair teeth in a jungle setting. The native only had a few hours training but did very well.